In February of 2015, CSM Corporation received approval from the Eagan City Council to move forward with their Central Park Commons project. Located in Eagan at the intersection of Yankee Doodle Road and Pilot Knob Road, Central Park Commons opened in Fall of 2016. It now houses major retailers including Hobby Lobby, DSW, and Marshalls, as well as casual dining establishments like R Taco and Punch Pizza. 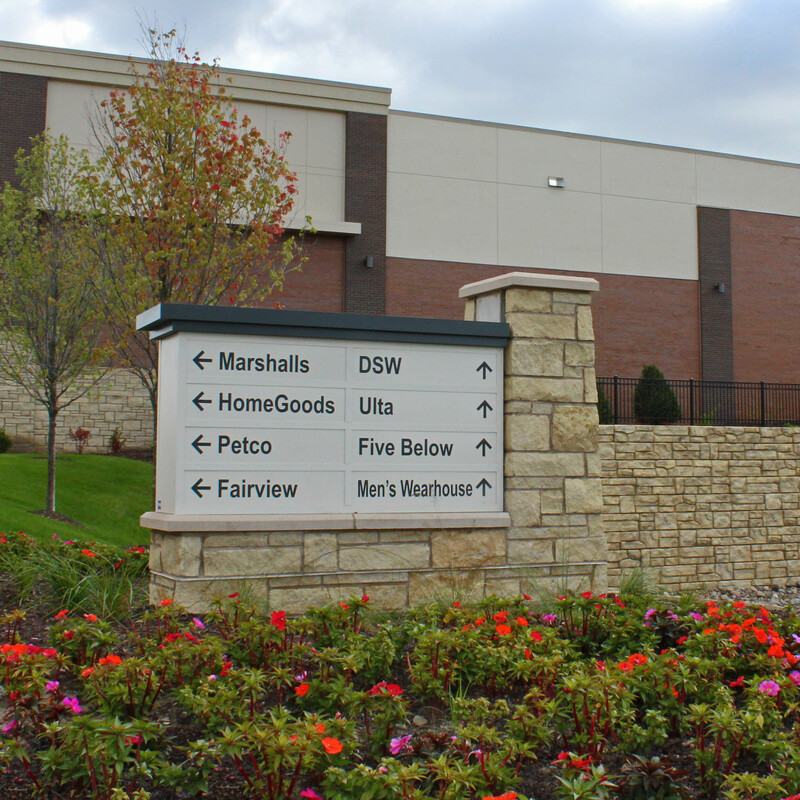 The 50-acre parcel, previously the home of Lockheed Martin, an aerospace and defense contractor, is now a bustling mixed-use development that provides a great place to shop or grab a quick bite in the heart of Eagan. 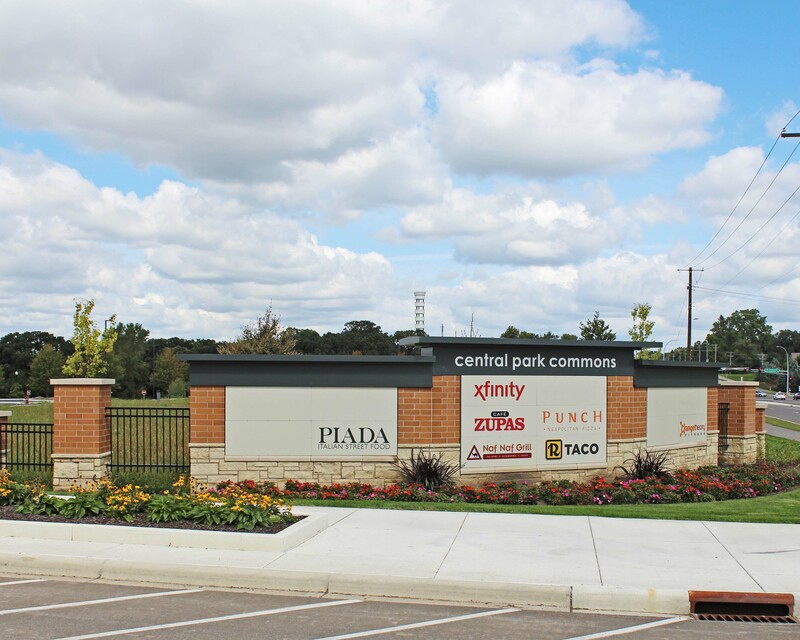 Central Park Commons wanted a partner to create signage that could understand their vision and expectations for the mixed-use development. They sought experience and expertise for successful tenant identification, sign construction, illumination, and signs that were functional and interchangeable for the future. We brought a team of professionals to every meeting, including our company owners, senior designers and senior project managers to make sure we clearly understood CSM Corporation’s expectations from concept to finished form. We made an investment in sign prototypes and responded in a timely manner to their revision requests and questions. Our team provided a signage plan that outlined the dimensions of all signs, the materials and finishes used, diagrams of signage and more. Attention to detail, the time investment, and superior strategy for development went into CSM’s decision for vendor selection, and the sign package was awarded to our team. Spectrum presented a team of professionals at the initial introduction meeting including company owners, senior designer and senior project manager to make sure they clearly understood our expectations from concept to their finished form. They made an investment in sign prototypes and responded in a timely manner to revision requests and questions. With a project the size of Central Park Commons, everyone involved must be willing to make changes and adjustments when necessary. Because construction was occurring at the same time we were working on the signs, many field challenges arose. We also experienced pressure from the timeframes of both the building tenants and the landscapers. 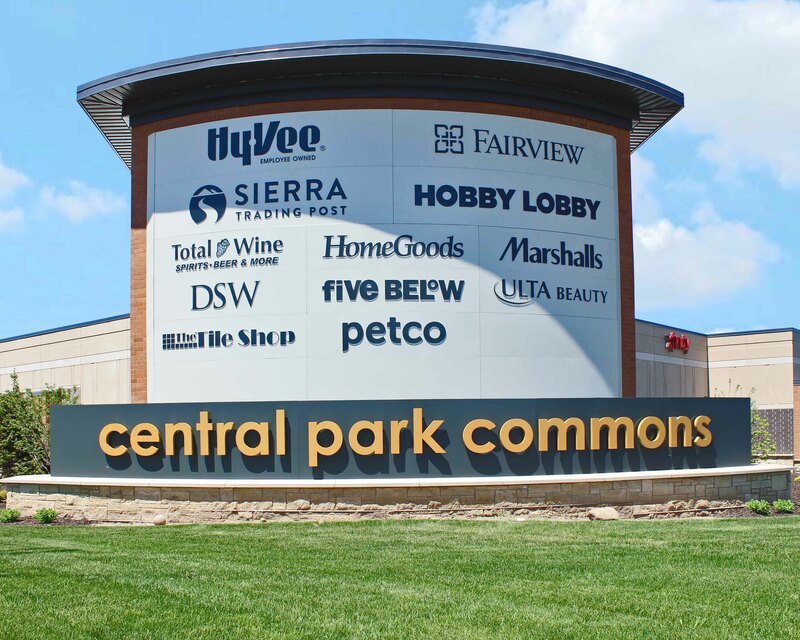 Central Park Commons also voiced their desire to have signage that went beyond the generic or typical styles used by many other developments. They required signs that projected innovation and added value to the aesthetic of the development. Our team had to be collaborative with the team at Central Park Commons, the engineers, the architects, and the masons. Constant communication was key for this project to run smoothly and be completed on time. To combat the challenges faced during the Central Park Commons project, we aligned the entire team and made sure the process went as seamless as possible. We presented prototypes to show the construction methods, possible color schemes, confirmed methods of attachment, aesthetics and fastening hardware. It was important to construct the signs to look like each one truly belonged to the development in order to maintain brand alignment. To achieve this, we worked with each tenant of Central Park Commons and ensured brand guidelines and expectations were followed. Functionality and style were important for the project, so we constructed each sign with routed aluminum faces and acrylic graphics. We ensured each sign was illuminated to promote readability. For functionality, we created tenant signage that was interchangeable so as time went on, and new tenants were added, the aesthetic would remain consistent throughout the development. 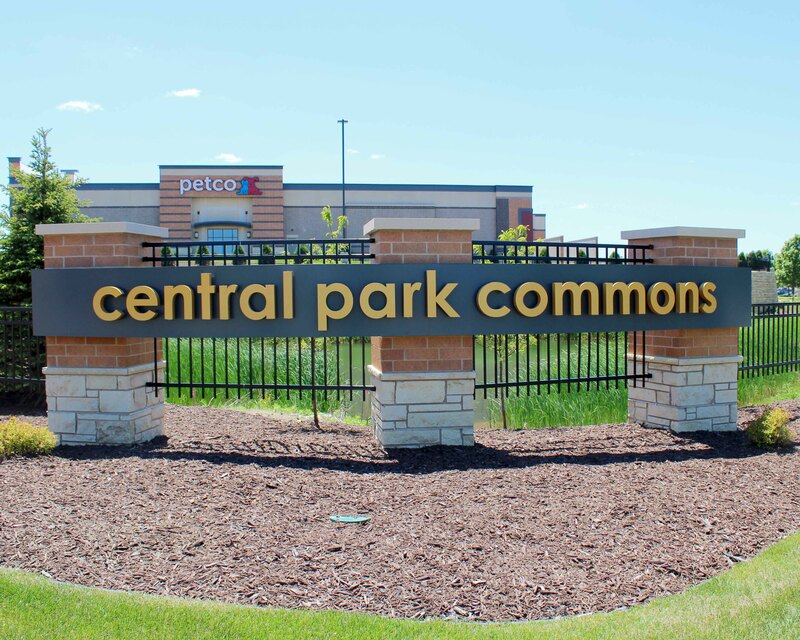 Central Park Commons is now the pride and joy of the city of Eagan. The development incorporates natural landscape, bike trails and a pocket park. The signs our team created welcome visitors from three major roads on four fronts of the development. The signs not only provide direction, but also boast a contemporary style and promote the establishment’s brand aesthetic. The project was a success and to this day, we continue to do work with the CSM Team and Central Park Commons. Partner with us on your next project.